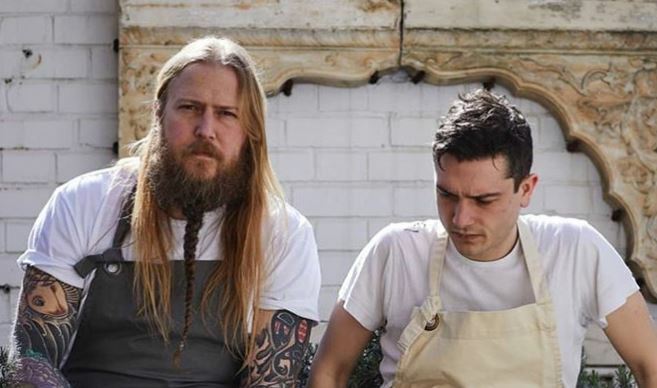 Chef Andrew Clarke and restaurateur and chef Jackson Boxer are to open their third restaurant together. Orasay will be a 50-cover space in Notting Hill, just over the road from Clare Smyth’s Core. The cuisine will, apparently, be inspired by the Outer Hebrides in Scotland and the name is a playful take on an island off the country’s west coast, Orosay. The venture was announced on Instagram by Boxer, who will act as chef-patron. He said: “After a tremendous year launching St Leonards together, Andrew and I are excited to share the news of our new site, Orasay, opening on Kensington Park Road in early 2019. “I’ll be overseeing the newborn, cooking an aqua-nautical menu largely inspired by my lifelong love affair with the Outer Hebrides, while Andrew leads the line at St Lennys, fanning the mighty furnace through the next stage of its evolution. As Boxer references, the pair this year opened St Leonard’s, their second site after the “unexpectedly lovely” Brunswick House in Vauxhall. St Leonard’s has divided critics so far but might best be summed up as “mad genius“. Indeed, reviews have been positive more than they have been the reverse. Previously, Boxer and Clarke were both overseeing the Shoreditch site, with Boxer focusing on seafood and curing and Clarke at the stove, cooking meat over fire. At Orasay, it appears fish will play a central role, with the likes of razor clams, crabs, scallops, langoustines, and lobster sourced from the Hebrides. The wine list will be balanced and made up of plenty of approachable French and Italian vintages – as well as Boxer’s own “extensive personal cellar” – while the interiors will be artful and antique in style. News Andrew Clarke, Brunswick House, Core, Jackson Boxer, Notting Hill, St Leonard's. permalink.